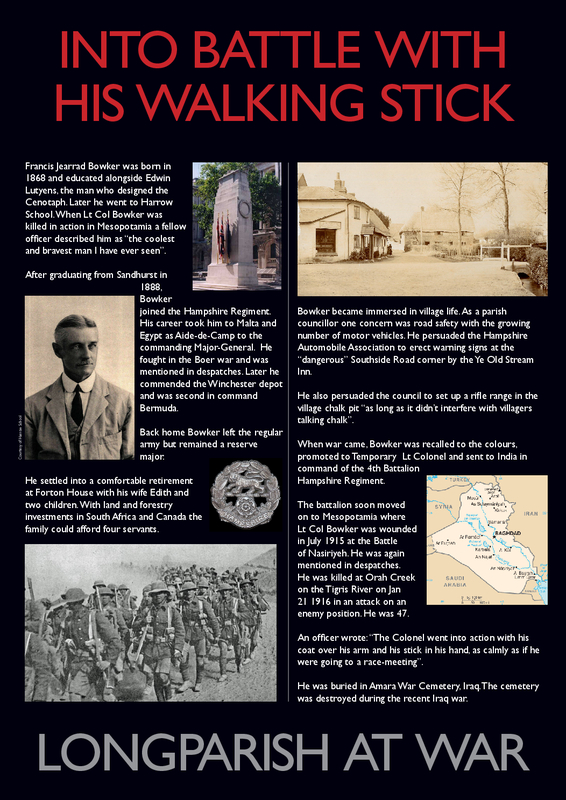 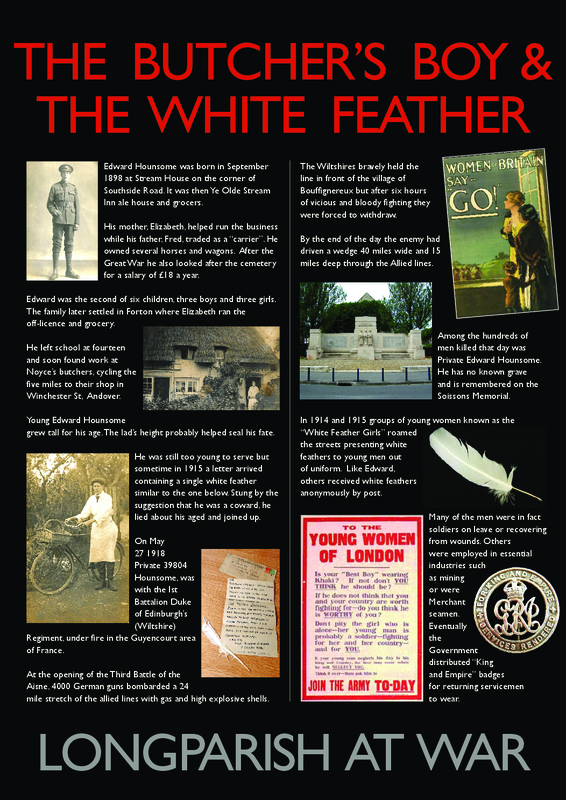 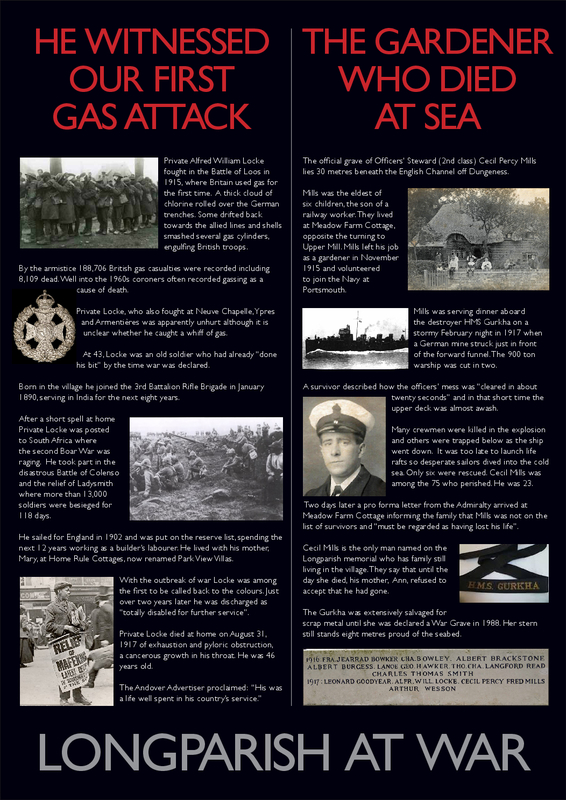 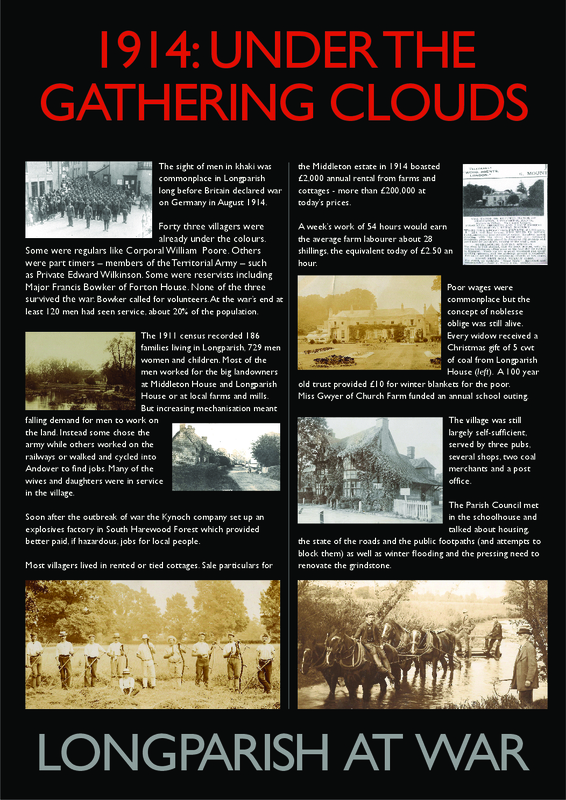 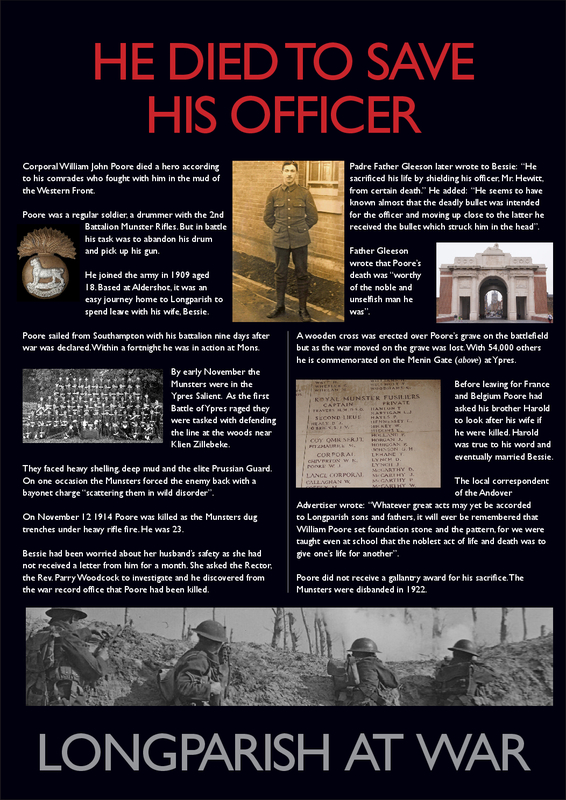 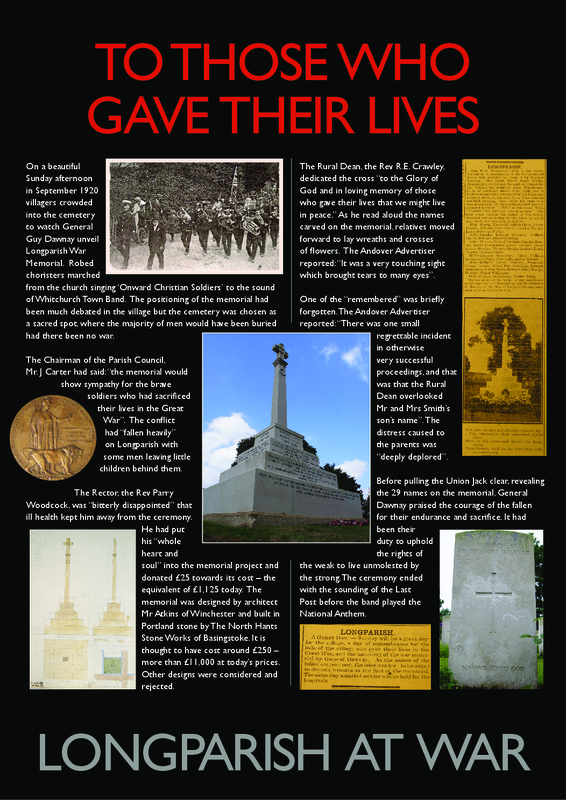 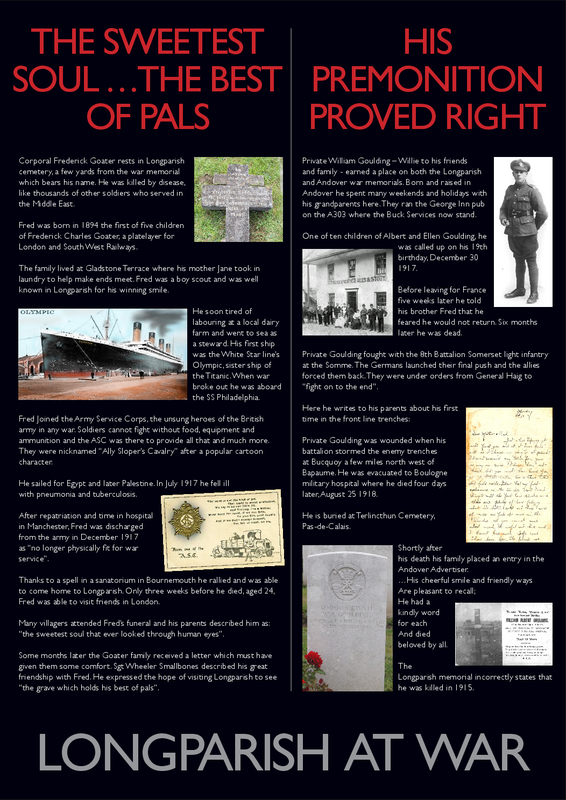 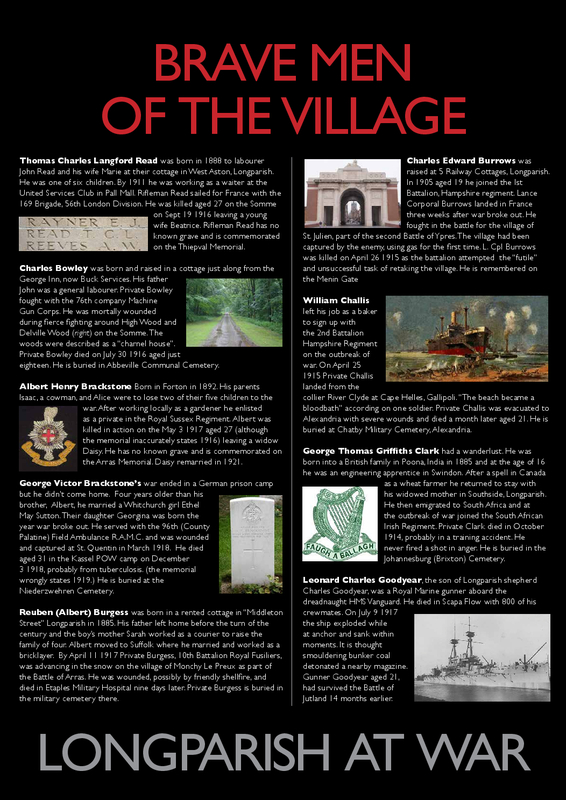 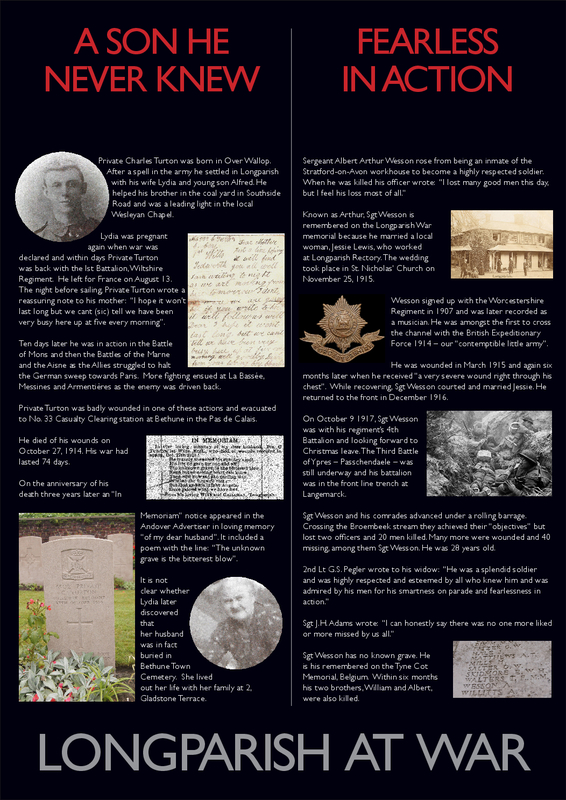 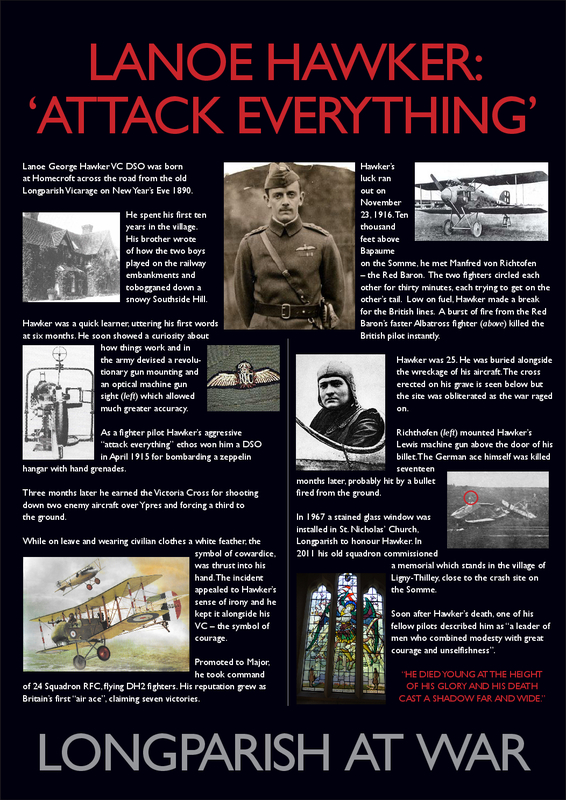 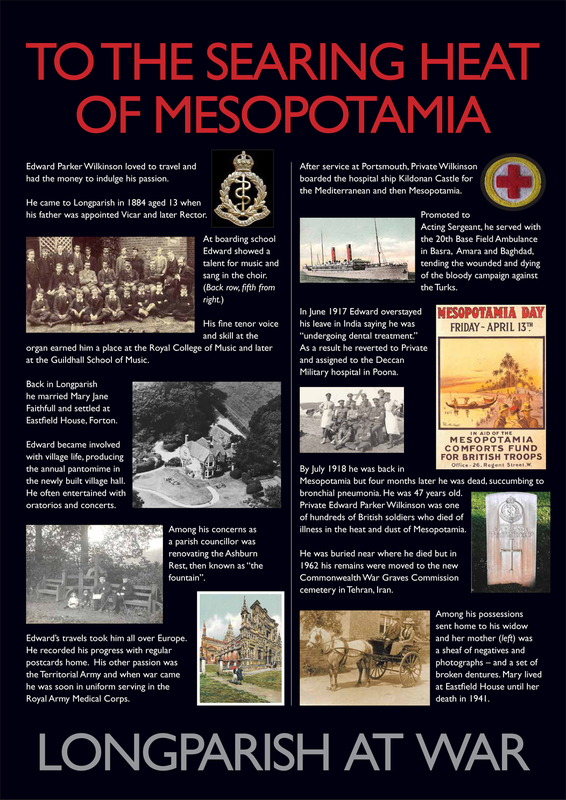 Pictures of the display boards with the history of people from Longparish who died in or because of the First World War are available online. 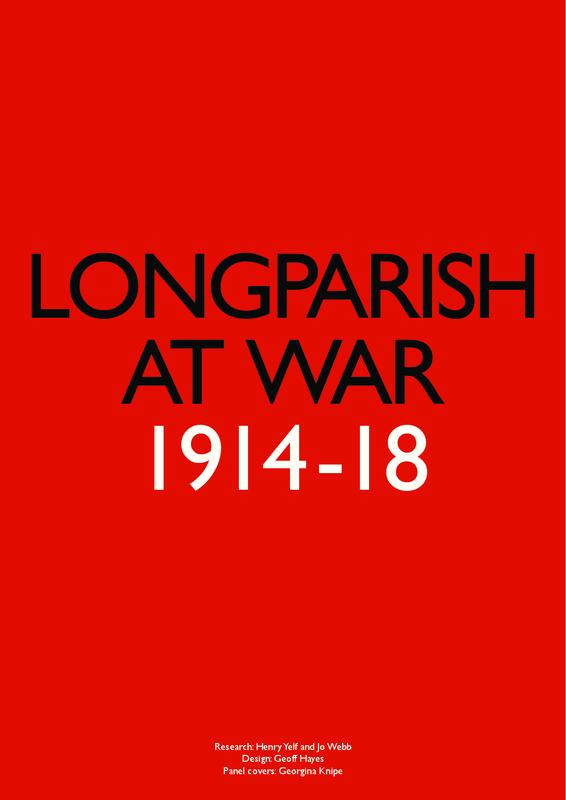 The printing of the panels has been sponsored by Longparish Parish Council. 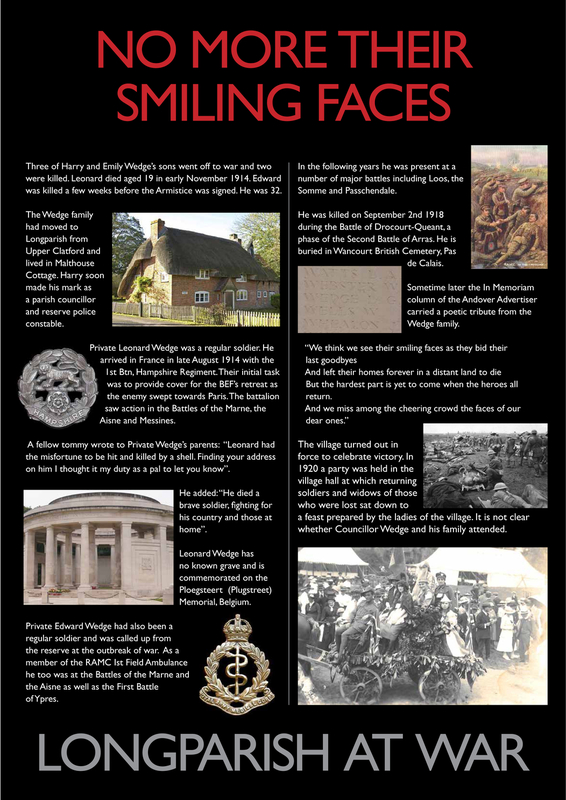 The gallery opens when you click on a picture.